This Monday, we introduced you to one of our favorite Exhibit Farm projects: the Genesee County mobile agriculture education trailer. Today, we’re going to take you on a longer journey through some of the details behind this fabulous project. 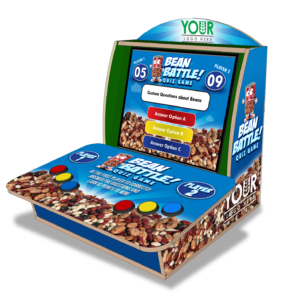 We’ll bring you behind the scenes to show you what got our wheels spinning as created this traveling display. What first got our creative engine humming was the need expressed by the Genesee County Farm Bureau. This group of ag educators and advocates has made it their goal to bridge the gap between consumers and farmers. Although they’ve made big strives directly in their community to help educate local eaters about food, they also wanted to reach further into their state. So, to help them do this, they decided to add to their ag education tools. And they wanted this tool to be something mobile and something big. These criteria ruled out lots of things. 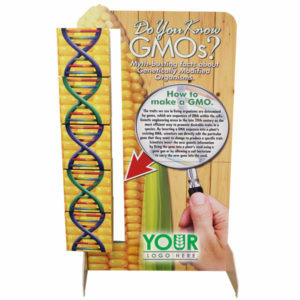 It can’t just be a little GMO display, but it also can’t be a full-scale exhibit. Rather, something in-between—and something on wheels—would just fit the bill. This pointed directly to an obvious solution: an exhibit trailer. 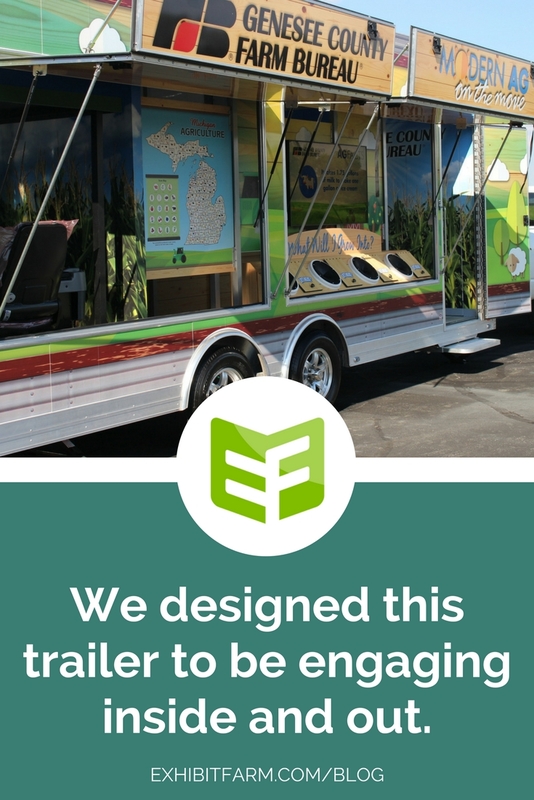 So we embarked on a journey designing and creating what we’d like to think of as the most innovative mobile agriculture education trailer ever to hit the road. There are a lot of things about this trailer that work together to make it a truly great project: loads of interesting information, a bunch of hands-on displays, and a sharp, modern look to boot. Plus, all of it—inside and out—is covered top to bottom with bright and colorful graphics. Already, what’s there not to like? But the thing that makes this trailer truly innovative is something entirely different. We have one other factor mentioned by the farm bureau to thank for this particular home run in the design world. Since Genesee County is in the great state of Michigan, it only makes sense to think about weather issues when it comes to outdoor exhibit elements like this trailer. However, they clarified to us that they’d be willing to just use the trailer in the summer months, when snow and cold are of little concern. This opened up doors (literally) for some major innovations regarding design, the main one being that we could design the trailer to open up on the outside. By pulling up awnings and opening up windows and doors, we could almost triple the number of displays and the square footage of the trailer that we could put into use. This way, visitors aren’t limited to walking into the trailer but can walk around the perimeter as well. Imagine one of those street vending trailers that sells those fabulous ice cream flavors and has the colorful awnings. 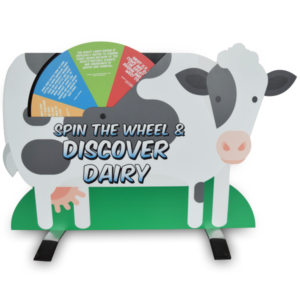 Except this one is even better because it’s for agriculture education and it has cool displays that help kids and adults alike come to better understand the world of farming. 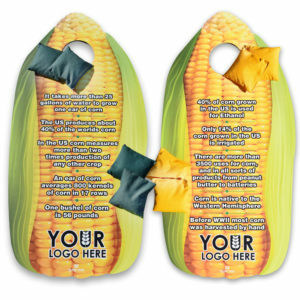 Even though it doesn’t have an ice cream station and probably never will, there were definitely some other perks that came with the particular design elements that we included in this project. For one thing, since the trailer had the capacity to open up for exterior displays, we didn’t have to worry about internal heating or cooling anymore. Conveniently, an open trailer comes with its own ventilating system: the all-natural breeze. That eliminated the need to goof around with A/C and heating systems. And, it also eliminated some major costs for our client. Obviously, this was the best way to go, and it came with the best results regarding user experience—even with the lower costs. Another perk of this particular trailer’s capabilities is the compact size it allows. This thing definitely packs a punch. Because, even though it’s smaller than some other trailers, it can engage way more visitors at once. And that’s just because it opens on the outside. People can mill around on the left, in the back, on the right, or inside of the trailer all at once without being in each other’s way. But also, precisely because it is smaller, towing it doesn’t require a semi-truck. Rather, the Genesee County Farm Bureau staff members are fully capable of pulling it with one of their own pickup trucks. This makes transportation much more convenient and allows them to bring it along on a lot more road trips. The finished product of this mobile agriculture education trailer is still being used by the Genesee County Farm Bureau.